***UPDATE: A day after this article was published, the Arizona Supreme Court said it was possible that Stringer could release the document on his own, if his copy was not obtained from the State Bar of Arizona. Click here to read more. The revelation could be a substantial obstacle as the committee seeks to enforce a subpoena ordering Stringer to turn over documents related to the Maryland case by March 27. William O’Neil, the presiding disciplinary judge for the Arizona Supreme Court, signed a protective order earlier this month barring the release of a 1984 letter from the Washington, D.C., Bar, dismissing a complaint regarding charges that were filed against Stringer the year before, while he was living in Baltimore. 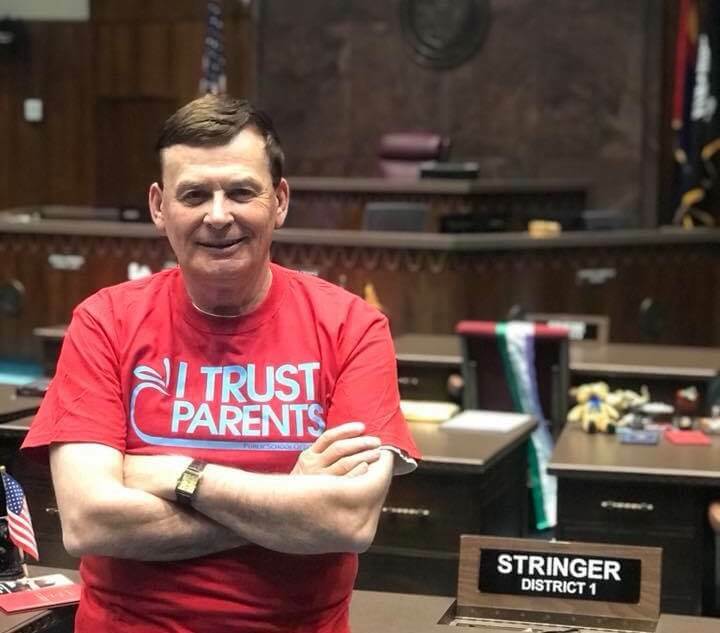 Stringer’s attorney sought the order during a State Bar of Arizona investigation into whether the Prescott Republican properly disclosed his past legal issues when he applied to practice law in Arizona. O’Neil said an order he signed barring the release of the letter applies not just to the State Bar of Arizona, but to Stringer and other parties involved involved in the investigation, according to Supreme Court spokesman Aaron Nash. Nash said O’Neil cited Arizona Supreme Court Rule 70, which pertains to records from Bar disciplinary proceedings. The State Bar of Arizona dismissed its complaint against Stringer on March 14. Stringer’s attorney, Carmen Chenal, requested the protective order during the Bar investigation, arguing that language from the two-paragraph letter could be distorted or taken out of context and used to unfairly attack Stringer. Nash said Stringer could ask O’Neil to lift the protective order so he could provide the letter to the House Ethics Committee. The House Ethics Committee on Wednesday voted 4-1 to reject a request by Stringer to keep documents it had requested regarding the Maryland case private. The vote came after the committee spent about 45 minutes in closed session conferring with its attorneys. Chenal has argued that Stringer is barred from providing the letter by O’Neil’s order. Committee Chairman T.J. Shope disputed that claim, arguing that the order applies only to the State Bar, and that Stringer is able to turn over the letter. It’s unclear what effect O’Neil’s mandate will have on the Ethics Committee’s proceedings or on the possibility of Stringer’s expulsion from the House. Shope said he couldn’t speak to Nash’s statement that the protective order applied to Stringer.